KELI, a social and cultural organization celebrated Onam on 06.09.08 in Pratteln, Basel . Onam lunch was prepared under the leadership of Kuttan Kocheril . He has been doing this since 10 years and has now informed that he will not this in future due to health reasons .The cultural evening was inaugurated by Mr Urs Wuethrich, Minister for Culture,Education and Sports, Basel Land Canton , Switzerland. He knew about India and its culture.During his trip to India , some one asked him “ Why do you spend so much on your travels, and not spend something for God ? “ . Mr. Jose Joseph , Second Secretary , Embassy of India,Bern read out the Onam greeting and message of the Indian ambassador to Switzerland,Mrs Chitra Narayanan. 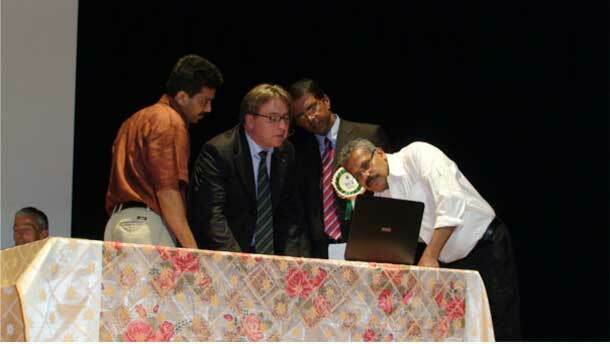 Dr. Gester , who is an expert on India , spoke about the social problems existing in India . Mathew Thekkottil, President of Keli spoke about the growth of Keli during the past ten years and how it has become a well known organization among the European malayalees. Mathew Abraham , Secretary described the social activities of Keli in a power point presentation . 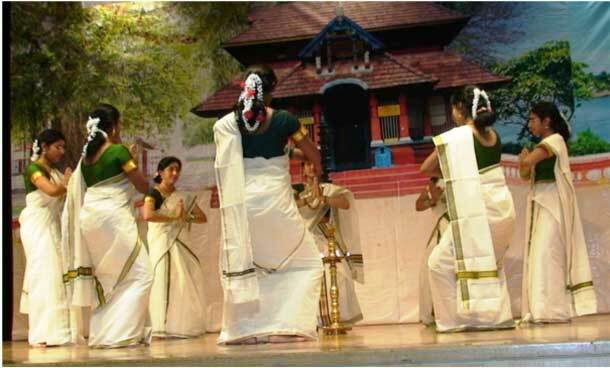 The proceeds of their cultural activities are contributed to charitable services like community development services,educational aid , house construction,victims of flood, earthquakes in Kerala. Keli’s volunteers in the hall should make sure that people are not engaged in private conversations when people are spaking on stage as it creates bad impression. Arrival of Maveli from the underworld. 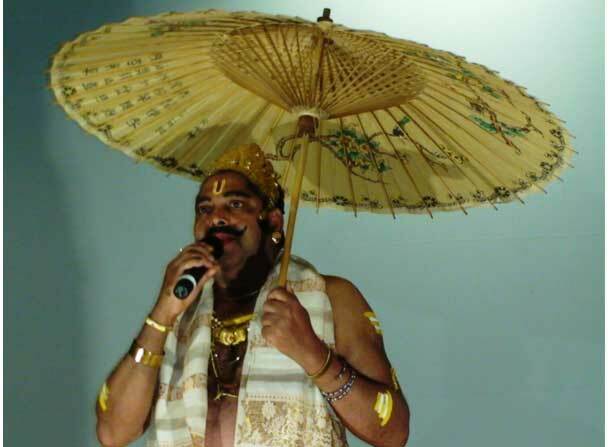 Thomas Mookanamparambil , popularly known as“ Maveli Thomman “ appeared as Mahabhali Thamburan for the 47th time on stage this year. He hopes to complete 50 th chance next year appearing on several stages and thus create world record among malayalees and enter his name in Limca book of records . This hall had a special lift from the underground floor and hence his arrival appeared as though the underworld. 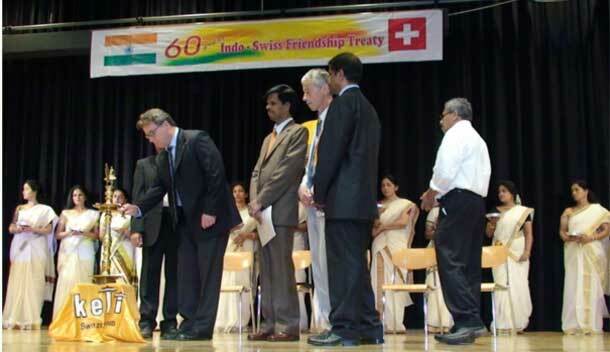 Switzerland and India signed a Treaty of Friendship and Establishment in 1948.A special envoy of Switzerland , Mr, Armin Daeniker signed the treaty in New Delhi with India’s Prime Minister , Mr Jawarlal Nehru. 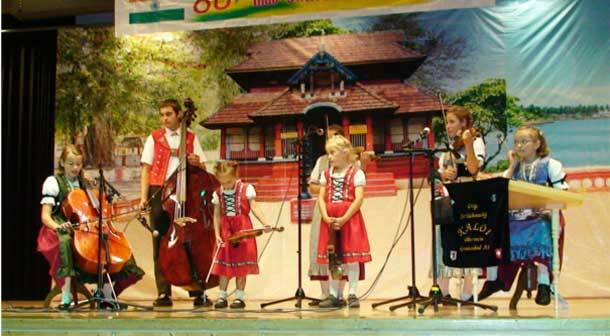 Switzerland is the first country, which signed a treaty of friendship with independent India.Keli invited a family musical group “Kaloei “ from Appenzel Canton to show Swiss culture to the Indians on the occasion of this 60 th jubilee year . The audience enjoyed the string music group especially during a dance show with laughter . This year , Kalatharangani Mary John directed the inaugural dance programme of the children till the arrival of Maveli on stage for about 30 minutes. 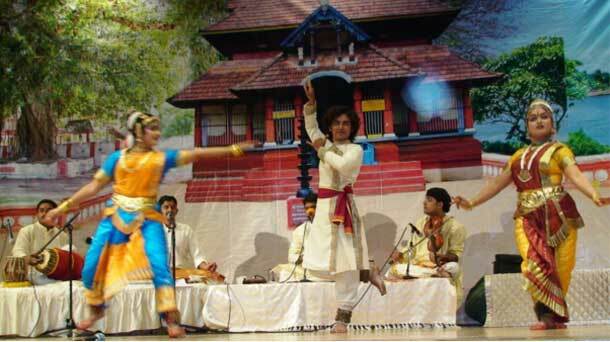 Later a typical Indian vocal music concert , an instrumental fusion of Indian music, individual dances in Kuchupudi, Kathak, Bharatnatyam, Mohiniyattam were performed with live music. The climax came when the 3 dancers dame together to the applause of the audience. Though the Thabla ( Indian drum ) an essential item of Indian music was placed on the stage, no body was seen playing it .